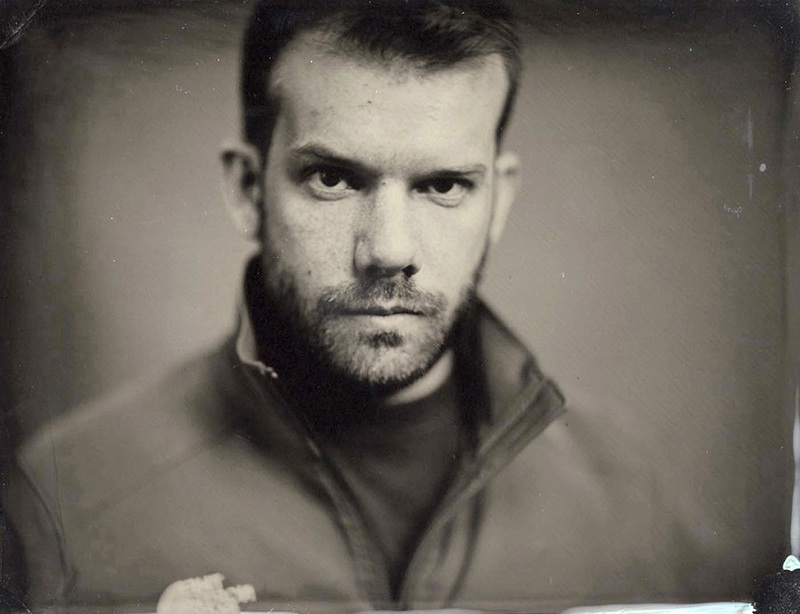 Photographers and artists wishing to create tintypes for their fine art photography will enjoy this two-day class making unique 5″ x 7″ collodion portraits on metal plates. The class will begin with a look at 19th c. and contemporary work and discuss how their choice of lens, exposure, development and lighting effect the final image. A demonstration of the process will follow. Participants will then receive hands-on experience making unique collodion self-portraits using a period camera. The class will include coating plates with collodion, sensitizing, exposure, several methods of development, fixing and varnishing. Special attention to lighting will be emphasized. An understanding of what causes markings on the plate, fog and other artifacts peculiar to the collodion process will be covered so the artist can decide whether or not to use them as as support for their imagery. Tinting and special burnishing techniques will also be taught. Included will be instructions on mixing chemicals, troubleshooting, portable darkrooms, cameras and equipment. Participants will receive the manual, Basic Collodion Technique: Ambrotype & Tintype. Audience: Beginning and Intermediate Wet-Plate Collodion. No equipment is necessary for this class. Photo lab experience is helpful but not required. Good hand skills are required. This two-day workshop is suitable for fine art and commercial photographers, artist-educators, and anyone interested in the evolution of photography.